A very quick project to share today. 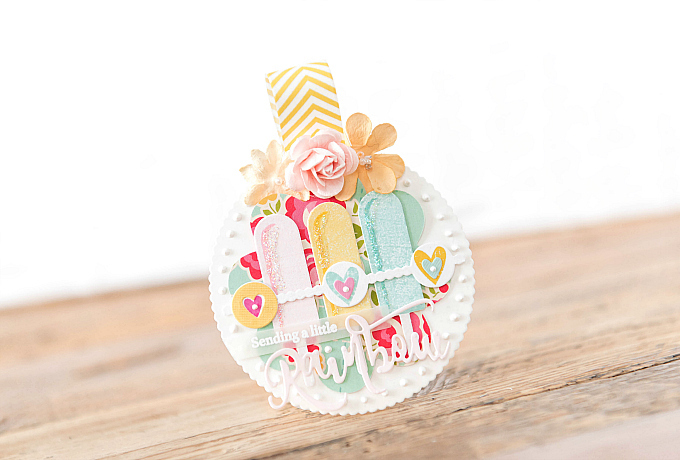 A wee tag with a rainbow of colors inspired by a lovely rainbow card I saw on the PTI blog! 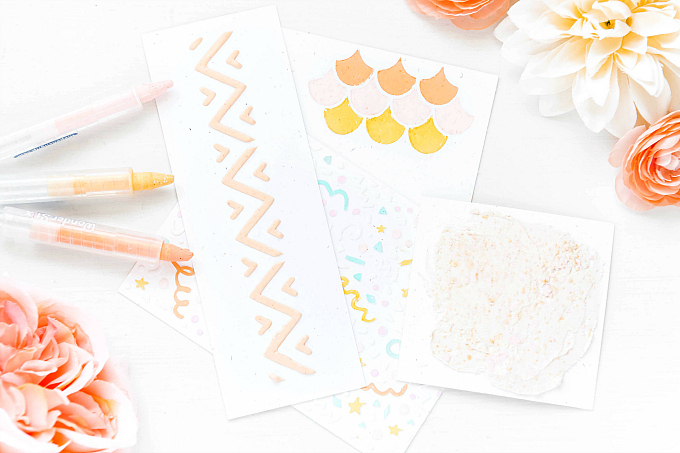 Okay, back to the tag :) To finish up this little number, I added some chevron yellow washi tape for the loop, a few paper flowers, and adorable little popsicles cut and stamped using the Frozen Treats collection from Stampin' Up. I used Sweet Blush, Pale Peony, Harvest Gold, Bright Buttercup, Aqua Mist and Hawaiian Shores for the colors. For the sentiment, I stamped and embossed a bit from Sparkle and Shine: Holiday Additions stamp set, and a die-cut from the Sunshine and Rainbows Make it Market kit. 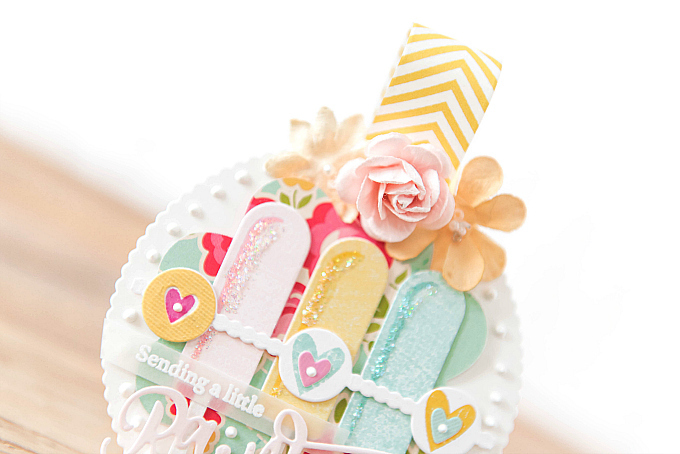 The heart border was cut using PTI's Confetti Garland and accented with Little Bits dies, from Neat and Tangled. So fun layering these pieces together! Hope you're having a sweet day and sending you all a little rainbow! wow, what a lovely tag. so many elements and I love the soft colors. Thank you so much!! I so appreciate you stopping by and saying hi! I love every sweet morsel you have added to this little work of art! Lovely modern card with so many beautiful elements! Oh my! So many lovely layers makes an amazing tag! Thanks for visiting and for the very sweet comment, Marlena! WOW, Ivana, such a beautifully layered tag with so much interest and textures! It’s truly an art to coordinate elements and colors so well. Aw, Kathy, you are too kind! Thank YOU for taking the time to visit and leave such a sweet comment. Sending you heaps of crafty hugs! Layering perfection, Ivana! Sweet enough to eat!!! Love this sweet tag, Ivana! The all of the layers and your Spingtime colors are absolutely yummy!